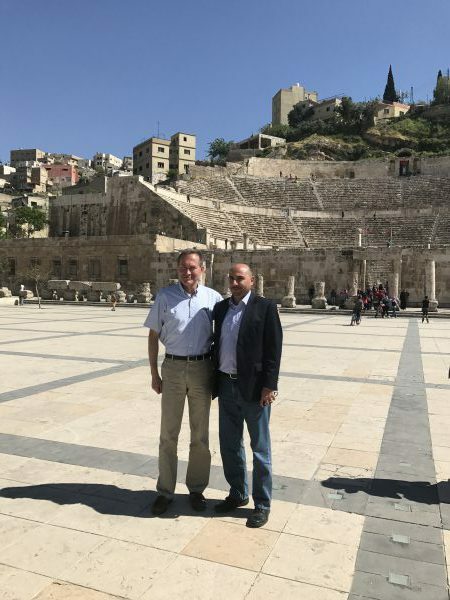 On a business trip to Jordan, Nate and one of his distributors visited Amman’s Roman amphitheater. 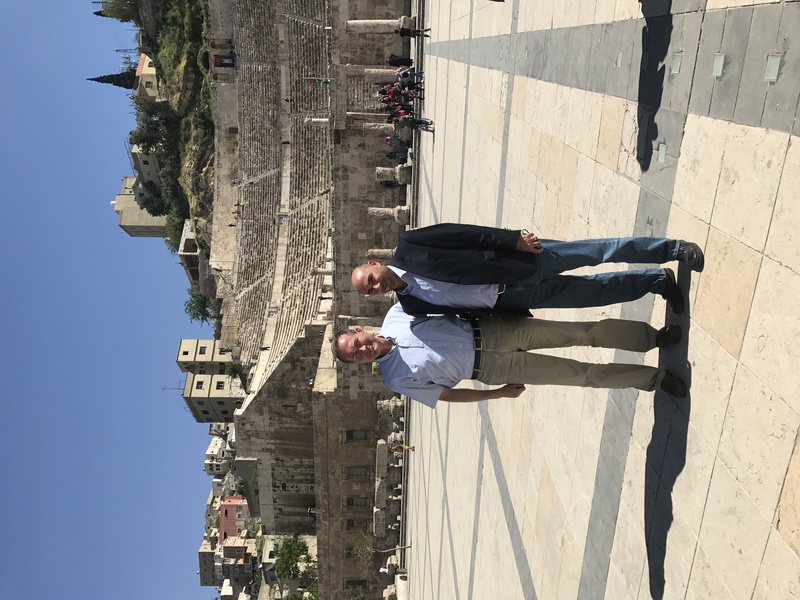 For his employer, Nate also manages government relations at the federal, state, and county levels, often working with the US Chamber of Commerce and National Association of Manufacturers (NAM). In 2017, the US Secretary of Commerce appointed Nate to represent Indiana for a two-year term on the US Department of Commerce’s Trade Promotion Coordinating Committee. In 2015, Governor Pence appointed Nate to the State Workforce Innovation Council (SWIC), on which he serves with State Senator Doug Eckerty, among others. In 2014, Nate testified before the Health, Education, Labor, and Pensions Subcommittee of the US House of Representatives’ Committee on Education and the Workforce on the impact of Obamacare on his employer. Paid for by Friends of Nate LaMar. Copyright © 2019 Nate LaMar for Henry County Council, District 4. Powered by WordPress. Theme: Accelerate by ThemeGrill.